Due to its painkilling attributes, natural Oregano oil is increasing in popularity in the health community. The oil has established itself as having anti-inflammatory properties and germ killing attributes. Such is the popularity that there has been new scientific study taking place to further investigate the uses and medicinal implication. Research has shown that the painkilling properties that natural oregano oil actually rival the painkilling properties of paracetamol and aspirin which are widely used. Morphine is also under threat by this new breakthrough. The natural substance also helps to prevent urinary tract infections such as cystitis, skin conditions and also neutralise the effects of food poisoning. 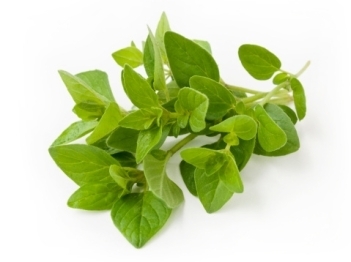 What are the scientific details about natural oregano oil? The oil acts to stop the growth of intestinal parasites such as tapeworms. This was discovered using a six week study on individuals affected by tapeworms in which they supplemented their regular diet with 600mg does of oregano oil. The results were very positive as the parasite in question was eradicated suggesting that oregano can prevent similar types of parasite such as bed bugs, lice, mosquitos and fleas. In terms of nutrition, oregano oil is very high in vitamins including Vitamin C, A and E. The oil also contains zinc magnesium, iron and calcium which are essential minerals. Relief of cold symptoms such as congestion. Inhibiting the effects of allergic reactions. It is safe to say that oregano is oil a great source of vitamins and minerals and a great alternative to natural painkillers for those who are opposed to using them. The oil means that users can avoid being treated with potent chemicals which can have a detrimental effect on the health. Natural oregano oil can be purchased online and is available to buy from health supplement companies such as nature suppliers, with free delivery in the UK.